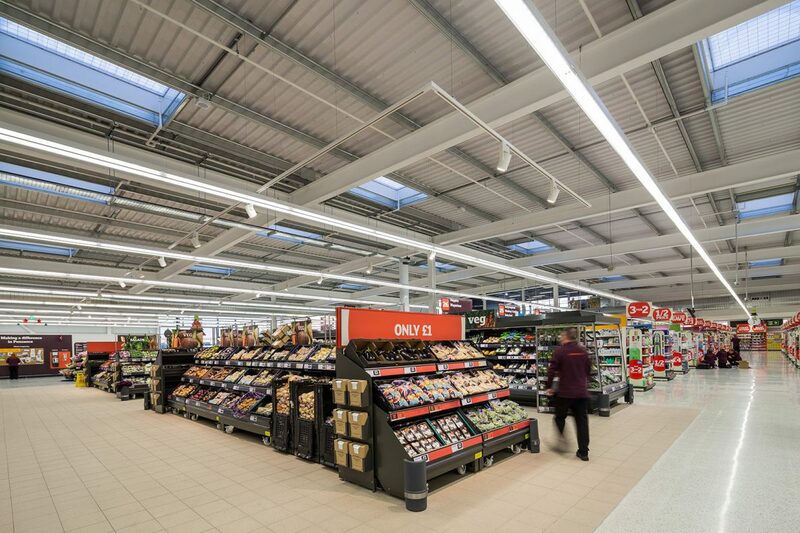 This new 50,000sqft store is located on outskirts of Penzance and was constructed on a very interesting site with huge benefits and equally huge challenges. The location is highly visible from the main road, providing a “gateway” to the town and enjoying exceptional views out to sea and across Mounts Bay. The site was located within a flood zone and was formerly a heliport, which had been built on top of an old landfill site. 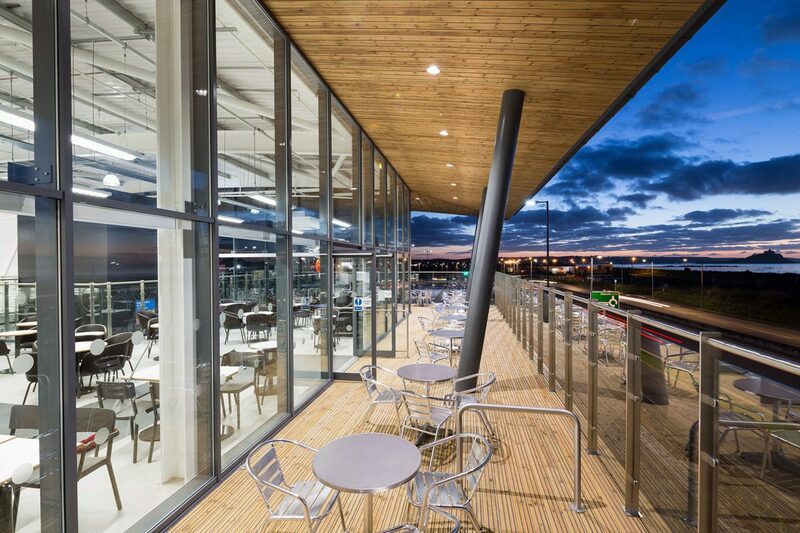 Responding to these opportunities and constraints, an elegant curved roof was designed for the store roof to accommodate a first floor staff area and café with external seating area positioned to take advantage of the stunning vista. 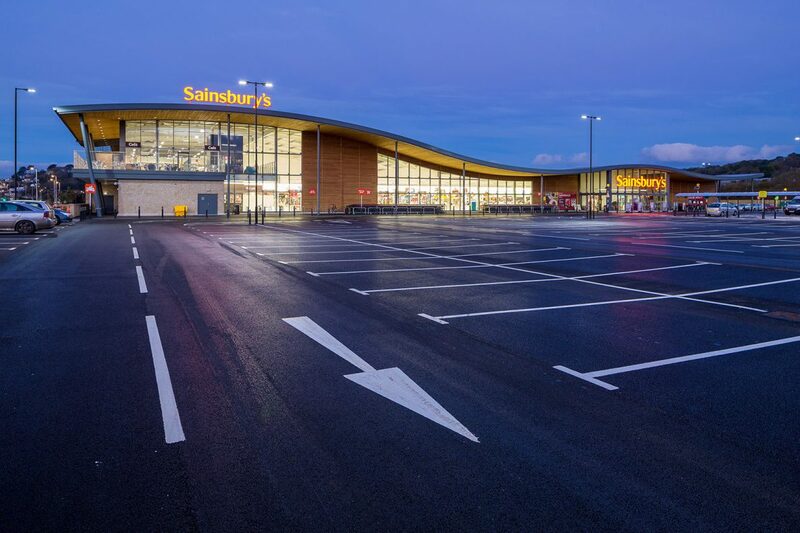 A complex engineered solution was found to remedy the problematic site conditions, which included the removal of thousands of tonnes of contaminated waste material, dynamic compacting of land and over 1300 driven piles supporting the new suspended slab. 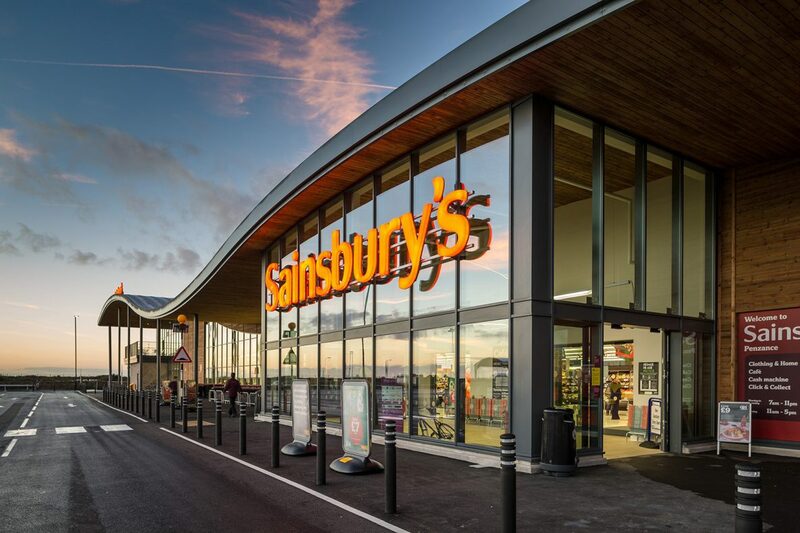 Through careful consideration of the site constrains and opportunities, Stride Treglown where able to create a great retail environment which responds to and overcomes the complexities of a site with huge potential.